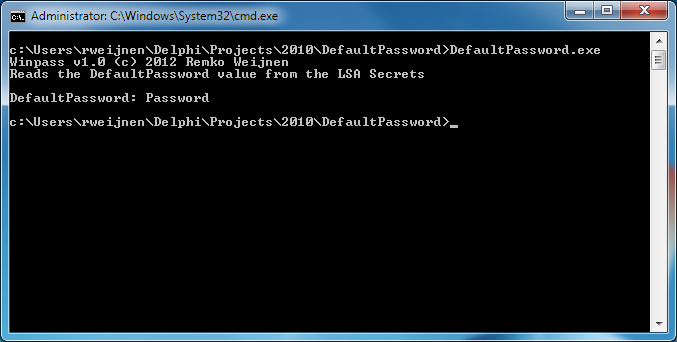 Just a small post today: a small commandline utility that reads the “DefaultPassword” LSA secret. 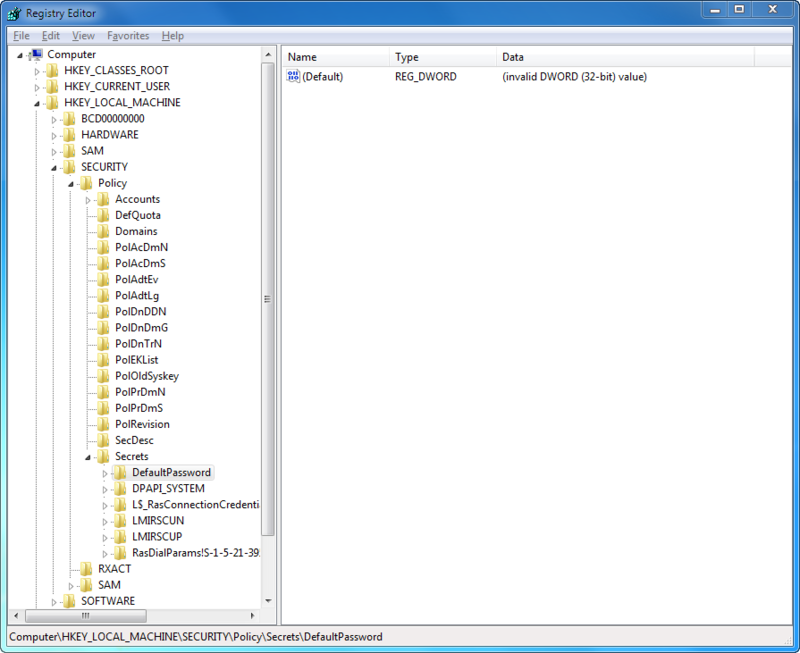 It’s data is encrypted but can be read using the LsaRetrievePrivateData API. 7 Responses for "DefaultPassword Dumper"
the key you describe here is used by autologon (from sys internals) when you configure an autologon account. When the application is executed unprivileged it returns “OpenPolicy failed with 0xC0000022 (Access denied)”. Mayb you can force it to run privileged? It didn’t show anything on my machine. That’s probably because I don’t use autologon from sysinternals as Andrew described. Ingmar, it was just pure fluke I stumbled across it while I was testing on a ThinKiosk box. Another case of me and Remko working on the same thing at the same time! 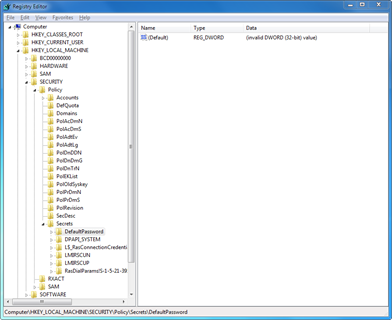 I’m not sure you can force a UAC prompt on a console app either. As @KeesBaggerman guessed this is an old project, I didn’t know at that time what the value meant but I should have known (now) that this was the Autologon Password! For some reason my last comment didn’t appear. 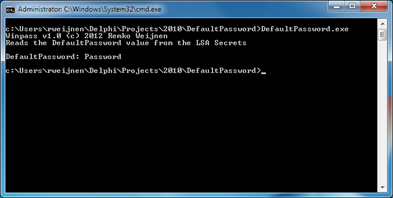 You can use the tool LogonExpert to use autologon and store the password in a secure AES encrypted location.